Galaxy Silver Metallic 2005 Chevrolet Equinox LS AWD 5-Speed Automatic Electronic with Overdrive 3.4L V6 SMPI OHV SERVICE RECORDS AVAILABLE, AWD, Equinox LS, 4D Sport Utility, 3.4L V6 SMPI OHV, 5-Speed Automatic Electronic with Overdrive, AWD, Galaxy Silver Metallic, Light Gray w/Manhattan Cloth Seat Trim, Black Rooftop Luggage Crossbars, Deep Tinted Glass, Electronic Cruise Control w/Set & Resume Speed, Front & Rear Removable Carpeted Floormats, Fully automatic headlights, Preferred Equipment Group 1SB, Trailering Equipment. Odometer is 13117 miles below market average! Sonic Blue Clearcoat Metallic 2006 Ford Escape XLS AWD 4-Speed Automatic with Overdrive Duratec 2.3L I4 SERVICE RECORDS AVAILABLE, CLEAN VEHICLE HISTORY ...NO ACCIDENTS!, AWD, Escape XLS, 4D Sport Utility, Duratec 2.3L I4, 4-Speed Automatic with Overdrive, AWD, Sonic Blue Clearcoat Metallic, Medium/Dark Flint w/Premium Cloth Bucket Seats, 15" Styled Steel Wheels, Brake assist. Odometer is 28190 miles below market average! Us?See What Sets Us Apart! Why Choose Us?See What Sets Us Apart! Cars Under $10,000Browse Inventory Now! Dozens of brands and thousands of pre-owned vehicles to choose from. Bad credit? No problem. Start the process to apply for financing now. Find out what your car is really worth with our valuing tool. We’ll buy your car from you, even if you don’t buy from us. Great deals on amazing cars, find yours today. Purchased a wonderful 2018 Hyundai Tucson for a great price! Hector was phenomenal and made the process tremendously simple and quick. He was available to answer every question throughout the process. Would definitely recommend New England Auto World! 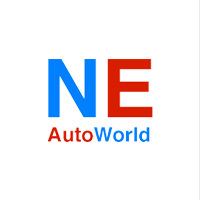 After researching a few car dealerships in the area I found New England Auto World. The staff was very friendly and provided great service. Hector in particular was extremely helpful. Overall a very pleasant car purchasing experience! !